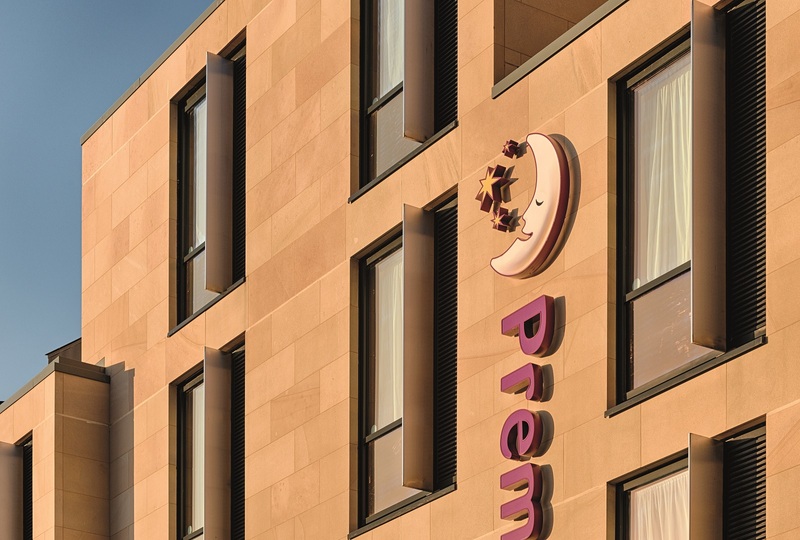 As part of the £200m New Waverly development of Edinburgh’s historic old town, a new Premier Inn was commissioned. Overlooking the characterful Royal Mile, the exterior facade of the new building had to seamlessly integrate old with new. The design of the building takes a traditional sandstone material and combines with glass and aluminum to form a stunning, contemporary finish. The striking colouration of Stanton Moor sandstone features a buff base with brown and gold variation, matching closely with the materials used in the historic city. STONE DESCRIPTION Carboniferous sandstone from Stanton Moor quarry. A buff sandstone with technical properties ideal for rainscreen cladding, ashlar and masonry products. A beautiful Derbyshire Carboniferous sandstone, which has been used widely across the UK for all scale of projects - from major prestigious city centre schemes to residential developments and private homes. Stanton Moor buff sandstone is also specified in Scotland on a regular basis providing a suitable match to Scottish blonde sandstones which are no longer available.